dinner. | everything will turn out alright. today is cold. the kind of cold that makes one want to hibernate. we’re talking negative lows and single-digit highs. i had planned to venture out to the store this afternoon to collect some ingredients for dinner. the frigid winter air quickly dashed those plans. we had very little food in our cupboard, but i managed to come up with something pretty delicious. 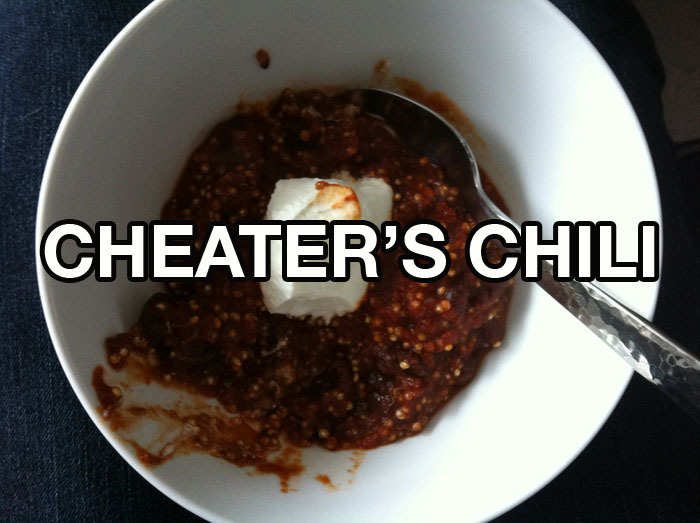 i called it cheater’s chili. 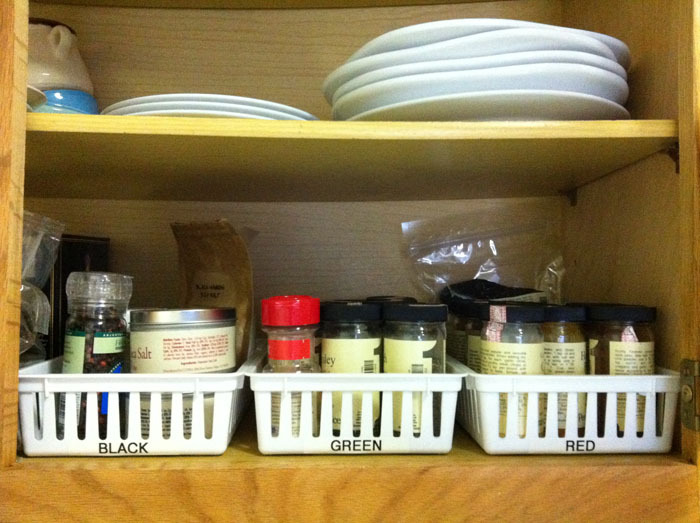 i started with a jar of newman’s own marinara, 2 cans of black beans (rinsed well), some white quinoa, and a cabinet full of freshly organized spices. 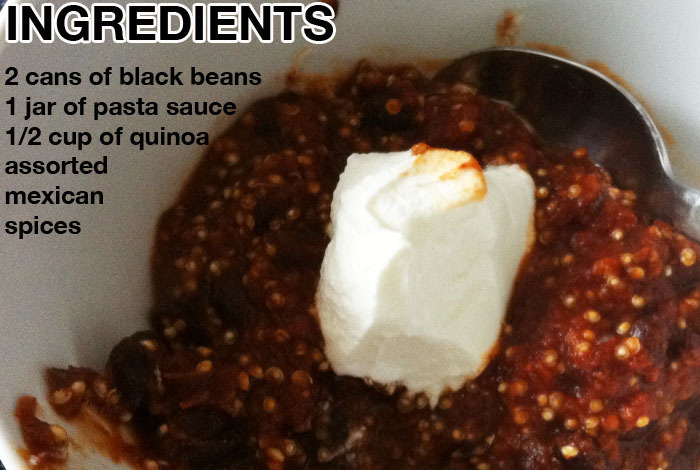 i simmered the sauce and beans together for a few minutes while the quinoa cooked on a neighboring burner. to turn italian marinara into a chili base, i threw in a dash of anything usually at home in a chili. this included ancho chili powder, mexican oregano, cumin, dried cilantro, pre-made fajita seasoning, hot sauce, red wine vinegar (to cut the sweetness of the sauce), and a small pinch of cinnamon. the results were surprisingly delicious, especially topped with sour cream. i think this last ditch effort to avoid the cold air may just become a warming winter staple. 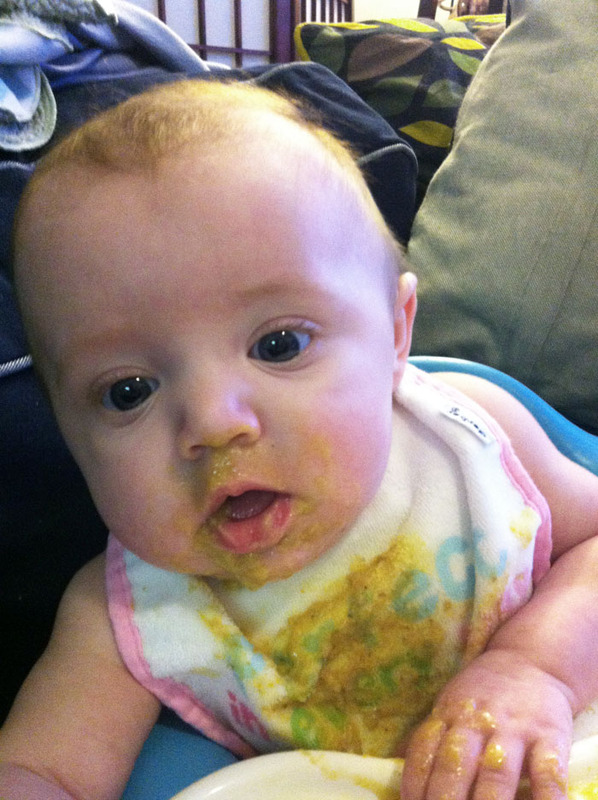 sylvie had a leftover puree of pot roast vegetables (carrots, turnips, and potatoes.) this combination is her clear favorite so far. curried peas are a close second. as you can see, my sweet girl eats her meals in the buff. 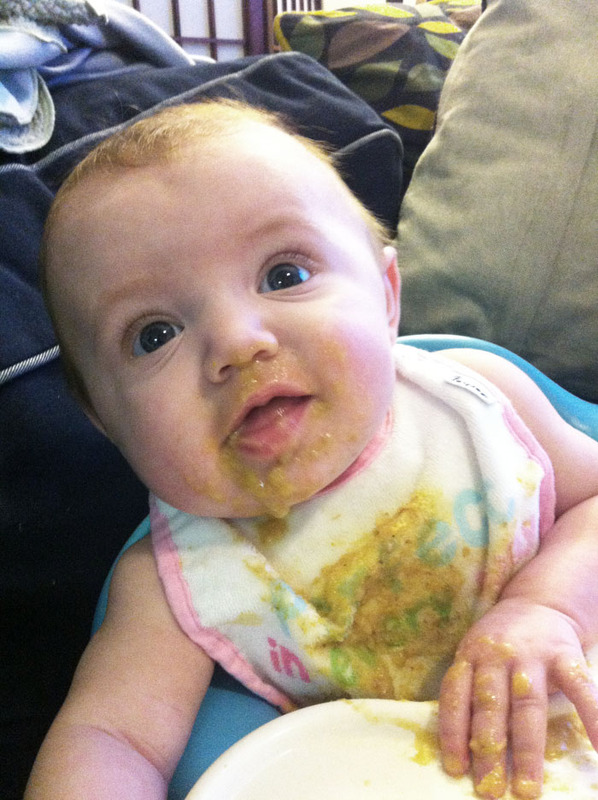 i’m a big fan of letting her get messy during meals, but was not digging the sudden increase in laundry. this way she gets to explore her food and build the coordination skills to feed herself, and we simply plop her in a bath afterward. 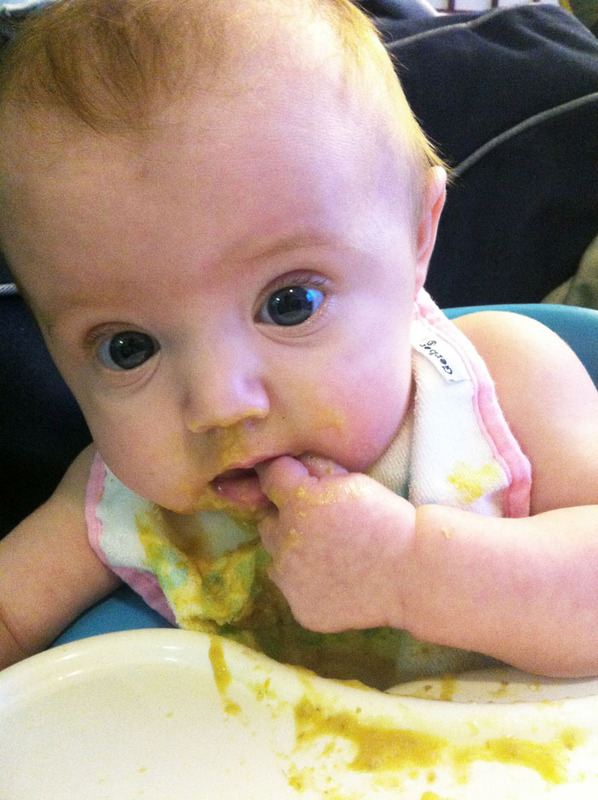 messy meals make for the cutest pictures. This entry was posted in Uncategorized and tagged 5 months, food. Bookmark the permalink. Sylvie doesn’t quite have the…uh…control to go diaperless yet. I’m looking forward to those days!